Super Savings Item! 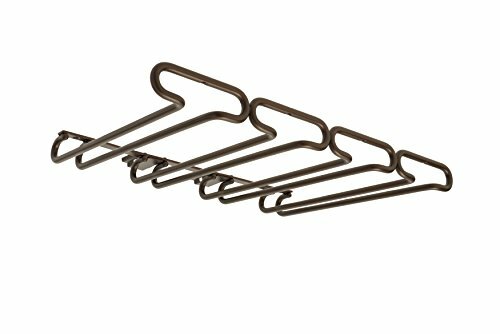 Save 33% on the Rev-A-Shelf - 3450-11ORB - 11 in. Oil Rubbed Bronze Under Cabinet Quad Wine Glass Holder by Rev-A-Shelf at Verve Wine Bar. MPN: 3450-11ORB. Hurry! Limited time offer. Offer valid only while supplies last. Rev-A-Shelf's quad-stemware holders are available in different finishes to organize your collection of stemware and match your kitchen/bar. Rev-A-Shelf's quad-stemware holders are available in different finishes to organize your collection of stemware and match your kitchen/bar. Constructed of heavy gauge wire and feature a rear mounting plate for either face frame or frameless cabinet construction. All (4) organizers are attached together for a uniform look.